With a top-down approach you will have a higher winning percentage and the average size of your winning trades will be bigger. There are multiple ways to get an edge of a bigger time frame. 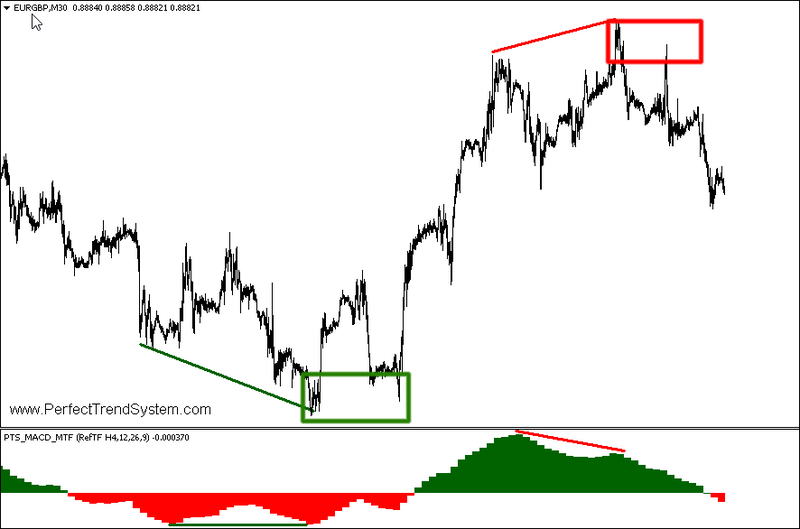 The multi time frame MACD indicator (PTS_MACD_MTF) is one of the many ways. 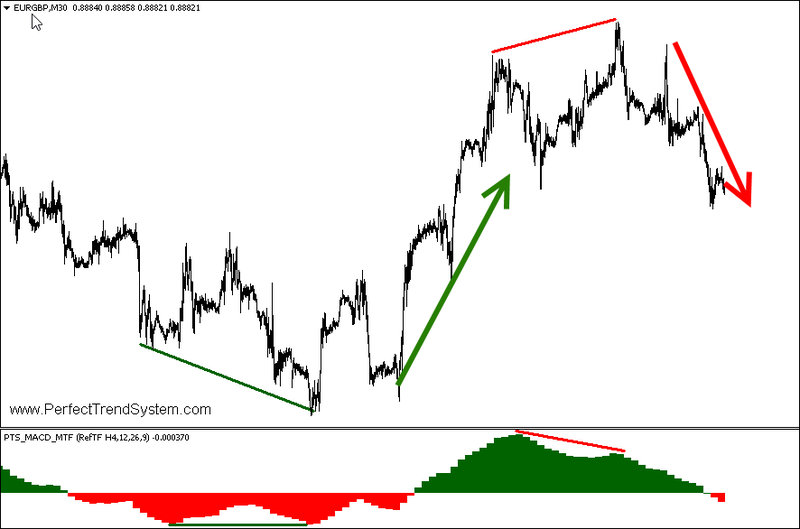 With the PTS_MACD_MTF can can use MACD divergences of higher time frames and make pinpointed entries on lower time frames. How can I configure the reference time frame? You can configure the reference time frame by selecting the appropriate value in the combo-box in the parameters of the indicator. 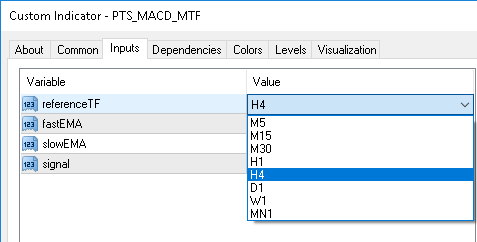 The default value is H4.